You can remember some names of numbers from songs. You can count up to three things. You can count up to six things. You can count up to ten getting all the numbers in the right order. You can spot numbers written down from 1 to 9. You can count up to ten things. You can sort the numbers 1 to 10 into the right order. You can use counting to help you in games. 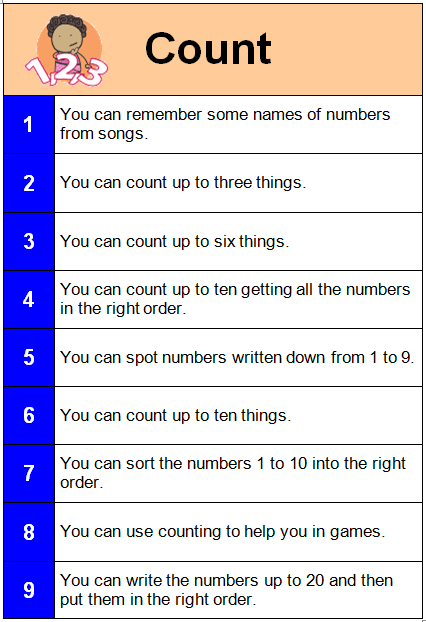 You can write the numbers up to 20 and then put them in the right order.